It looks like the random jump pads placed in Apex Legends signaled the arrival of Octane in Season 1: Wild Frontier. Respawn Entertainment has blown the lid off the first wave of content for battle royale game Apex Legends and it includes a brand new playable hero. Octane is the first Legends to be introduced to the game since its launch and be bringing the high-energy expected in Season 1's Wild Frontier. "New Legend - Misfits, outcasts, drifters, and grifters – the Apex Games welcomes them all. Keep your eyes on the skies for the Games’ newest Legend, Octane." The statement to "keep your eyes on the skies" could just be related to the fact that Apex Legends playable all drop into battle from an airship, but it is likely referring to the jump pads that have started appearing in the game. The theory is that one of Octane's abilities is related to the jump pads, so they could have been placed in the game temporarily so that they can get tested while also teasing the upcoming arrival of the new character. The devices are stuck into the ground and propel a character forward in whatever direction they're running when they come in contact with it. Other similar games have developed routines that players catch on to and the arrival of the jump pads could be the debut of Respawn Entertainments' means to signal to their community that something new and fun is coming. 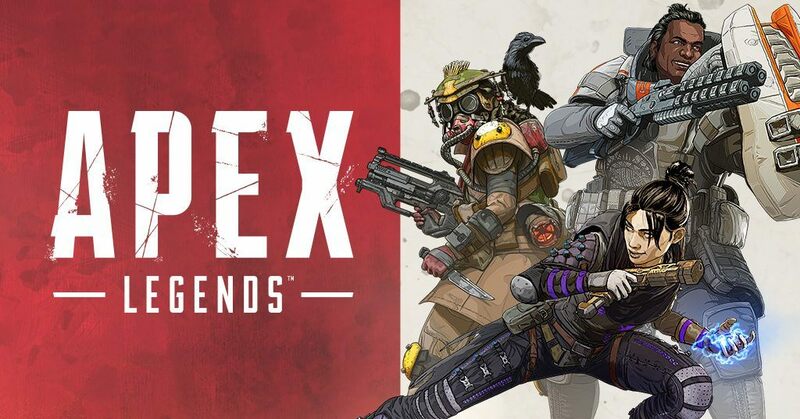 Apex Legends is free-to-play and available now on PC, Xbox One, and PS4. Stay tuned to Shacknews for additional gaming and tech updates.